In a December “App Smart” section of The New York Times, columnist Kit Eaton remembers when we were promised paperless lives with amplified Internet accessibility, and most recently, increased mobile technology. Freedom from the paper trail has not yet arrived, but Eaton’s review of free and for-purchase mobile applications will help you manage documents and reduce the need to carry around and save physical items. Click here to read more on the pros and cons of iOS applications such as Readdle’s Scanner Pro, Genius Scan, Perfect OCR, or the Android application Mobile Doc Scanner. Using your camera on your mobile device, take a picture and store it directly into Genius Scan or utilize your camera’s stored images to import saved pictures. 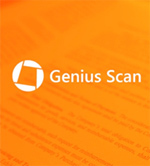 Genius Scan creates a new PDF file every time an image is uploaded. It also allows you to add to existing documents for multi-page PDFs and helpful organization. You can also export files as a PDF or JPG through email or iAnnotate (for example). The bonus Wi-Fi-sync option with a nearby computer is available if you like, and you also have the ability to adjust the resolution of an image. 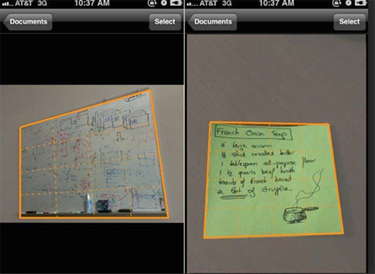 The free version (Genius Scan “Lite”) has sync limitations with Dropbox, Evernote and other cloud storage providers. 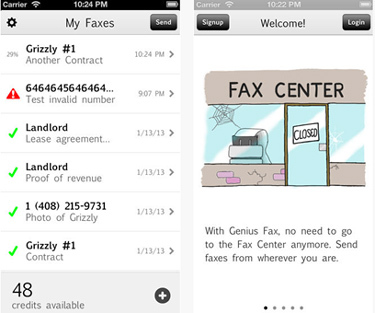 Genius Fax works directly with Genius Scan to allow for faxing a document, when sharing a PDF is not an option. 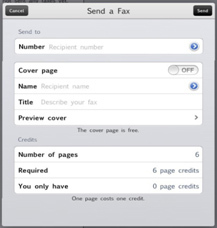 Genius Fax also makes available a cover page when faxing a file, if desired. Payment in advance is required for each file, prior to sending the fax. Start Lite allows you to create a PDF from a webpage. 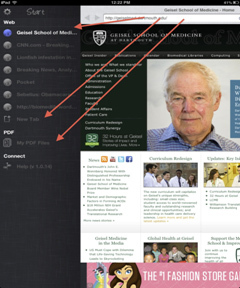 The application will become your web browser for quick “PDFMe” options. Alternatively (and after download), you may enter the letter “S” to the beginning of your Safari webpage and the Start Lite PDF option will automatically begin. 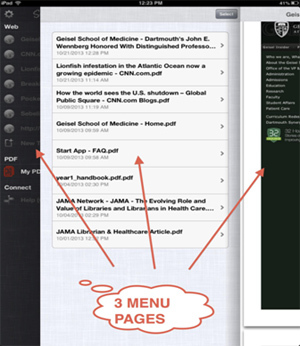 Your PDFs are stored for quick access offline, and with this lite app version, 3 free PDFs can be created everyday. Below: See how you may use multiple tabs for browsing and you can use menu bars to toggle between views. This entry was posted in News Item, Resources. Bookmark the permalink.